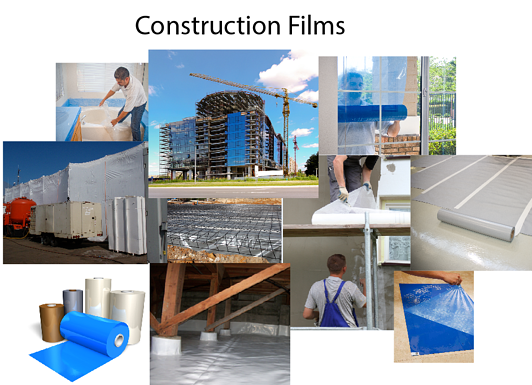 Construction films includes a broad line of films/ plastic rolls that are used for any construction project big or small. Yes we do sell to home owners as well as commercial entities. Mil thicknesses include: 6 mil, 8 mil, 10 mil 12 mil, 20 mil, 18 mil... Plastic Sheeting Rolls are convenient, and get the job done. Looking for where to buy plastic sheeting? Call 760 597 9298. Hello Global Plastics...Let's "BUILD" a Relationship! Please note: Standard stock rolls are 100' long. Smaller custom sizes incur a $500 minimum.